To all budding Jules Verne, Welcome to where audactiy thrives ! Are you hosting a delegation, a new client, new employees? Do you want to help them get to know Nantes Saint-Nazaire? Here, the aeronautics industry spreads its wings ! 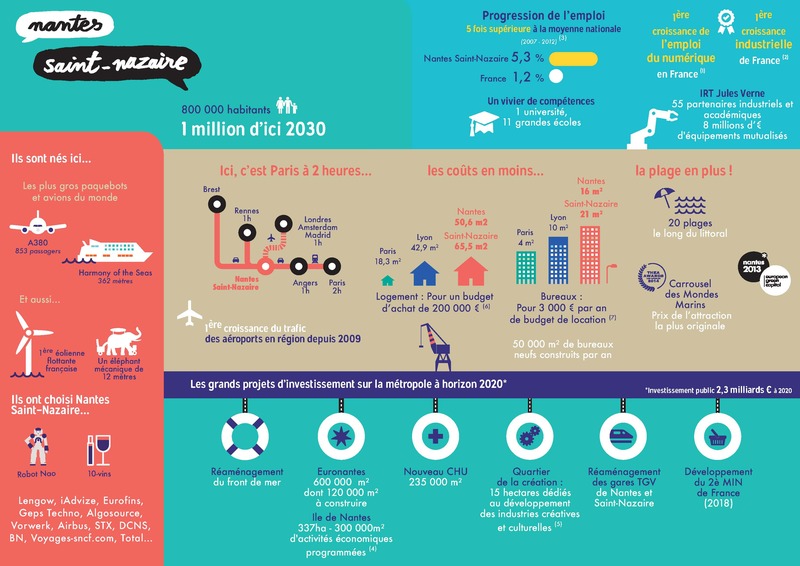 Nantes Saint-Nazaire Développement supports you! Nantes Saint-Nazaire Développement is here to help you! The Nantes Saint-Nazaire Développement Agency: Hosting, promoting, developing... We are at your service. If you're looking to organise a professional or sporting event in Nantes Saint-Nazaire, look no further than the Convention Bureau. The Welcome Pack: Helping new employees and their families to settle in. Download the Welcome Pack.